From hearing from you, I can tell that some of you are about to quit. 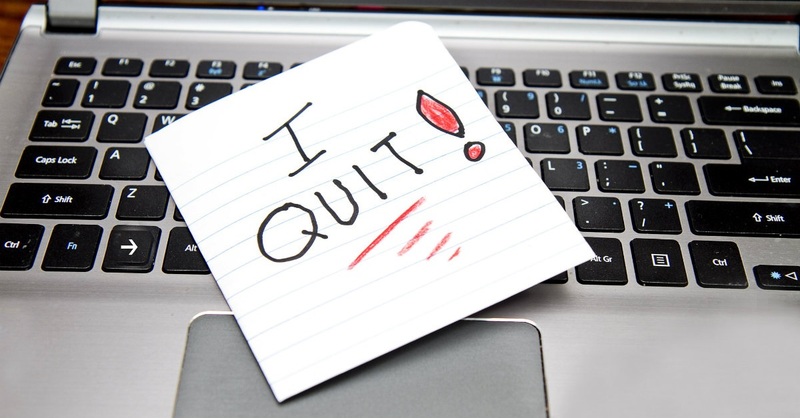 Some of you are wondering whether to quit your jobs. Some of you are wondering whether to quit ministries you have within your local church. Some of you are wondering whether to quit other aspects of your life that I don’t even know about. You’re discouraged and you’re ready to give up. Should you? Maybe. I’m not going to say “Don’t Quit.” After all, some of you should quit, if you’re doing something you shouldn’t be doing or that doesn’t fit with your gifts. I would ask you though, before you quit, to consider some things I’ve found helpful. I’ve learned much from leadership expert Seth Godin, with perhaps the most important thing being this: “Winners quit all the time. They just quit the right stuff at the right time.” This is the thesis of Godin’s The Dip: A Little Book That Teaches You When to Quit (and When to Stick). Godin is not, to my knowledge, a believer. But his insights on human nature often resonate with a biblical vision of the way of wisdom. Moreover, I like his writing because he’s not the typical leadership guru, saying “You can do it!” He doesn’t know if you can do it or not. He just offers tools to help you determine whether you can or not. We fail, Godin writes, when we don’t quit the things we shouldn’t be doing. This is consistent with what the Bible tells us about the Body of Christ: the various gifts are distributed, all for the upbuilding of the church. Someone who tries to use all of the gifts, or those he or she doesn’t have, will not succeed. My deciding that I shouldn’t be a church planter isn’t a failure. The only way I can succeed at what God has gifted me to do is by letting others do the things I’m not gifted to do. At the same time, though, Godin says that failure comes from people who quit things they should be doing too soon. If something is consistently easy, it’s probably something that doesn’t need to be done. A ministry, for instance, that is “safe” is probably a ministry that isn’t challenging problems, just repeating comfortable patterns that confronted problems already gone, or that belong to someone else. The resistance and discouragement you face is not necessarily a sign that you shouldn’t be doing what you’re doing. In many cases, it’s merely a sign that you are actually leading, doing something not currently existing in your context, and thus needed. Godin tells us not to be the woodpecker who pecks twenty times on a thousand trees and gets nothing, but rather the woodpecker who pecks 20,000 times on the one tree and gets dinner. If it weren’t for “the Dip,” everyone would be doing what you’re attempting. There would be no need for you. Your value comes in surviving that Dip, for the sake of the future. The way one tells the difference between a Dip and a cul-de-sac is the question. Godin answers that with three questions. People often quit when they hit resistance, and are scared. I’ve known pastors who quit when certain people in their congregations start grumbling, only to then go to other congregations and start the cycle all over again. They have in mind the kind of ministry they want, that they see one of their heroes having. That hero, though, didn’t get there without grumbling and resistance. Read biographies. Or talk to your heroes. Or read the Bible! 2. Who am I trying to influence? No place of service will please everyone. You shouldn’t quit teaching Sunday school because some of the teenagers in your class yawn and roll their eyes. You shouldn’t quit the literacy project for the poor because some people think it’s a waste of time. Whatever it is that God has called you to do, recognize that if there weren’t people who hate what you’re doing it would only be because you were not doing anything needed. You endure the naysayers for the sake of those God has called you to serve (sometimes the future selves of those same naysayers!). Paul did not yield to the opponents of the gospel of grace, “so that the truth of the gospel might be preserved for you” (Gal. 2:5). 3. What sort of measurable progress am I making? This is easier, of course, in a business than it is in an endeavor with intangible, spiritual effects—like serving in your church or leading a neighborhood ministry. Have people in your life that can counsel you—people that you respect for spiritual maturity, and seek their input. I’ve found some people who quit too soon did so because they were listening to advice about themselves from people that they would never listen to on any other topic, while ignoring those they did listen to on other matters who were encouraging them to keep going. Read Godin’s little book. Quit the things that you’re not called or equipped to do. Persist in those things that you are. Discouragement is no sign you should quit, and, in fact, might be a sign that you are doing exactly what you should be doing. In that case, press through the Dip, carry the cross, and walk on to the crown.